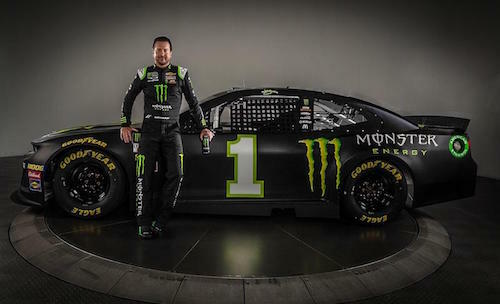 After months of speculation and rumors had Kurt Busch in the No. 1 Chip Ganassi Racing Chevrolet in place of Jamie McMurray for the 2019 Monster Energy NASCAR Cup Series season, CGR made Busch’s hiring official Tuesday. Busch’s longtime sponsor, Monster Energy, will make the move with him from Stewart-Haas Racing to Chip Ganassi Racing. McMurray has been offered a leadership role within Chip Ganassi Racing, along with a ride for the 2019 Daytona 500 on Feb. 17 and, possibly, a handful of other races. McMurray, though, hasn’t announced the specifics of his future in NASCAR. Busch drove the No. 41 Stewart-Haas Racing Chevrolet-turned-Ford for five years, joining the team ahead of the 2014 season. During that time, he won six races, winning at least one race each season. His latest win came in August 2018 at Bristol (Tenn.) Motor Speedway. Busch announced his departure from SHR via Twitter on Sunday. The 2019 season will be Busch’s 20th in the Cup Series. After running seven races in 2000, he went full-time Cup racing in 2001. Before joining SHR, Busch raced for teams including Roush Fenway Racing, Team Penske, Phoenix Racing and Furniture Row Racing. He won the 2004 series championship as an RFR driver. In 648-career Cup Series starts, he has 30 wins.